First you gotta have a GREAT idea. Then you gotta figure out how to make it. And sell it! Sure, it is possible to go from idea to prototype in one day. (See how one maker did it in this Fast Company article.) But that’s not realistic for most makers. To do it right and have the most chance for success, it takes time to find the right idea and identify your target audience then determine how to manufacture a product and market it. And this guide has you covered. Whether you’re new to selling your laser-cut products or an established maker who wants to increase your sales volume, this guide will walk you through the design and making process, help you set deadlines and be prepared for sales success. How quickly you go through each part is up to you. Take your time and do one part per month in your spare time. Or if you’ve got a hot idea for a custom product that you need to start selling fast, blast through this process with one part per week! However fast you go, we’ve established goals within each step to make the process easy—and fun! Let’s get started. Decide what product will be a great seller for you. This includes brainstorming product ideas and doing market research. This is the fun part! You’ll also learn how to get the most out of your chosen materials and the making process. In this step, you get to turn your design into a profitable product, without spending a cent. Finish this part with a variety of low cost prototypes in your hands so you know exactly what the product will be before diving into larger production runs. Let’s look at each of these goals in more detail. What products will be great sellers? Here’s how to find out. To start, you must build a plan. This includes a clear idea of what the product is, who would love the product enough to buy it and how much you need to make and sell it for in order to turn a profit. But before diving into the fun part of actually designing and making the product, you gotta do some basic research to understand what products are already on the market, who is buying them and how you can create something different and better that appeals to your target audience. So don’t skip this step. It’s vitally important to your sales success! Before we can talk product, it’s essential to identify your ideal buyer. What does this person need and how can you make something to fulfill this need. Consider demographics such as age, gender, where they live, religious and cultural preferences. Also think about psychographics such as interests and lifestyle. To illustrate the point, our ideal buyers are nature lovers who are attracted to environmentally friendly holiday celebrations. But your buyers can be anyone who is shopping for any holiday, special occasion, theme, etc. 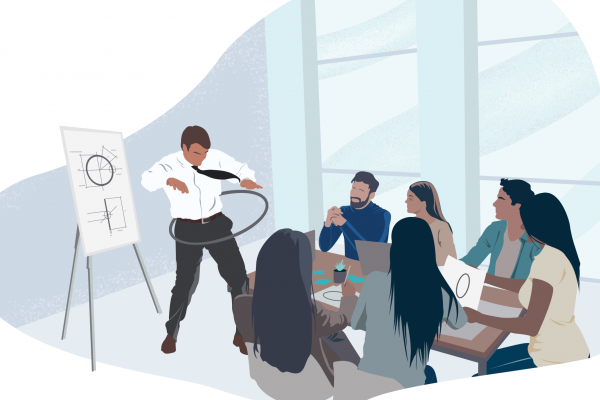 Now that you know who your ideal buyer is, it’s time to brainstorm and figure out the best-selling ideas for this target audience. Look at what’s hot at retail. Search Pinterest for the most popular ideas. See what other sellers are offering on Etsy (so you can make something different). Read blogs in crafts, maker and even small business spaces. This Shopify article, while not specifically about laser cutting, does have 10 things to make and sell that could get your creative juices flowing about what products are possible to make. And check out this post of laser cutting ideas as well as these how-to-make tutorials and guides. Picasso said, “An idea is a point of departure and no more. As soon as you elaborate it, it becomes transformed by thought.” So once you’ve narrowed down the possibilities, the first step from the intangible to the tangible is to just get the idea out of your head in whatever form you can. 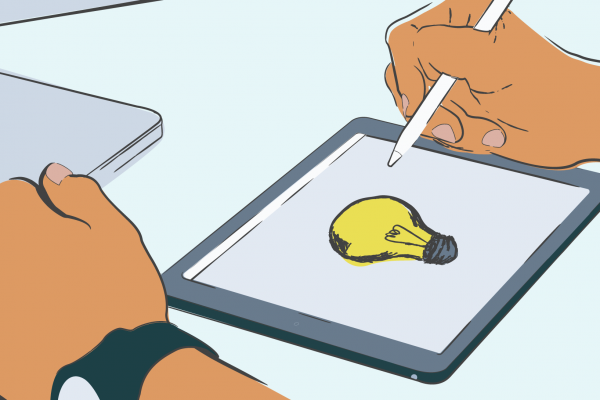 Grab a pencil and paper or get into your fave digital design program to rough out the idea. Work out the shape, dimensions and details. Record any describing words that accompany your sketch, such as color, texture, transparency, etc. It’s also important to work out any other components required to complete your product. If you making an electronics enclosure, for example, understanding the physical properties and size of these components is important because they’re likely to influence the overall design. The size of a bolt, for instance, will determine the size of the hole you need to design so the case can be permanently assembled. With all this in mind, don’t feel like you must settle for the first design that you sketch out. When designing a product to sell, the more alternatives you examine, the stronger the idea you finally use will be. For our example, we wanted to explore the idea of simple Christmas decorations such as snowflakes because we want to tap into the high sales potential surrounding the holidays by using a product that has mass appeal. This is where you get to unleash your creativity and think about bringing your product ever-closer to reality. 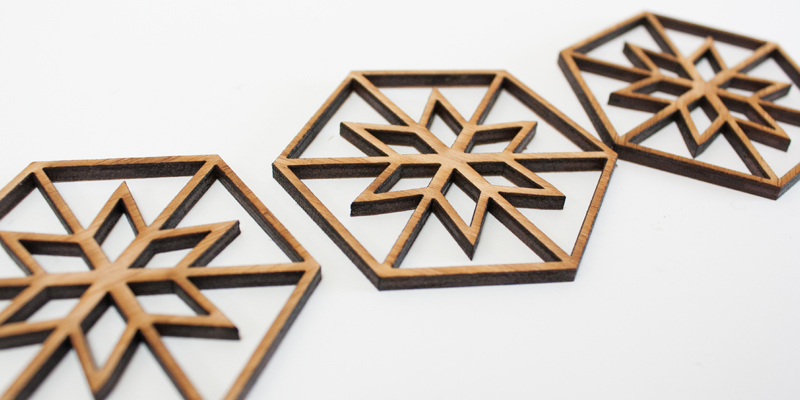 The materials you choose for the laser-cut products you want to sell should not only make sense for the kind of product you’re making, but they should also align with your ideal buyer’s personality and expectations. For our snowflake example, we want a durable material that not only looks the part but one that also stands up to repeated use and storage. While white acrylic makes sense in the context of a snowflake decoration, plastic may not be appealing to our example environmentally conscious buyer. So in this instance, bamboo would be a better choice because of its natural aesthetic and environmentally friendly properties. 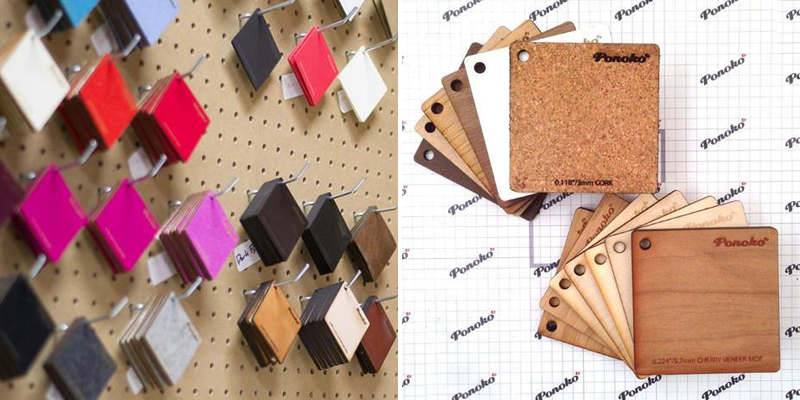 Before making your product, though, be sure to get a few $2 material samples so you can decide the materials your targeted buyer will like best. Figuring out what to charge for your product can be one of the more challenging aspects for any maker/seller. What’s the price point for comparable products? How do your products differ from these? Is there anything particularly special that could command a higher price? How do you want to market your product? Do you want to sell a high volume of lower-cost products with a smaller profit margin? Or are you more interested in a lower sales volume of high-cost products with larger profit margins? For our example, basic research indicates that a custom-made Christmas decoration retails for about $6 each (although this varies significantly). If you want to be able to sell wholesale, you need to make them for ¼ of the retail price. This means the $6 retail decorations must cost $1.50 or less in total for making, materials and shipping of each decoration. Now that you have brainstormed what you want to make and have an understanding of who will buy it (and why), it’s time to prepare your first design for laser cutting. Here are the top tips to get you started. Check the available material sheet sizes and make sure you have read the material information carefully so that you understand all the characteristics of the material and if any special accommodations must be made in your design. 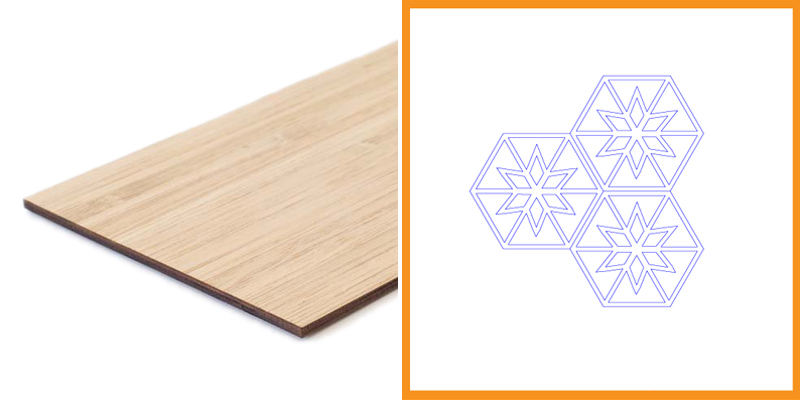 For our snowflake example, bamboo can warp on larger pieces, so it is recommended to leave a gap between designs when using larger sheets. This enables the laser cutting team to cut the larger sheets in half to make a flatter surface, giving the parts cleaner cuts. Another note: Because bamboo is a natural material, the grain color can vary. That’s pretty cool because it makes each ornament unique, but this variation should be added to the product description when selling them online so buyers know what to expect. Open a Personal Factory laser design template in your chosen software. Using the template makes it much easier to get a good result. Good design is all about balance. Specifically to laser cutting and laser engraving, the balance is about detail. You need a certain amount of detail to create an aesthetically pleasing design. But too much detail makes the design overly busy—and expensive. By keeping designs simple, the products are faster to cut and engrave, which means you get a better making price. 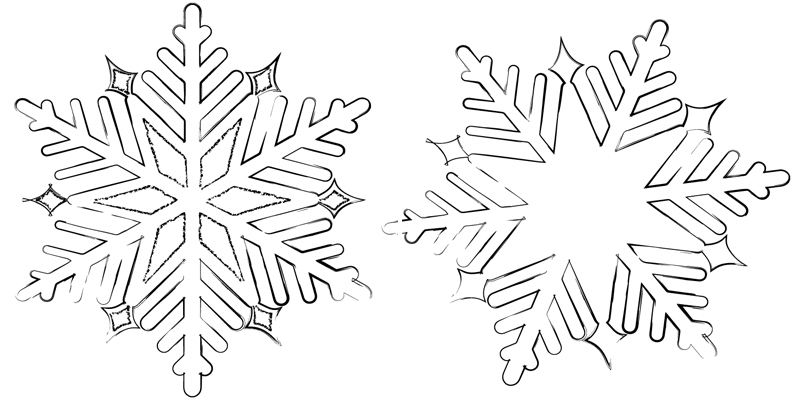 With our snowflake example, how can the design be simplified while still looking intentional? 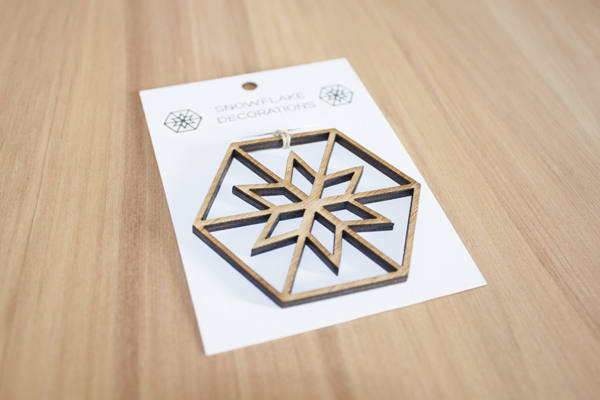 A geometric interpretation of the original snowflake would not only be better for laser cutting but it would also be different to many other designs already on the market. Here’s the progression. The far left is the original snowflake. The middle is a simpler version. The far right is the geometric interpretation. Now that your conceptual idea has a digital design, can it actually turn into a profitable product? Let’s find out. What’s amazing about digital prototyping is that you can upload designs for instant quotes—with no commitment to buying. When determining how to make products, this step is super important because you can upload numerous variations of your product designs and easily and immediately see what design choices will decrease costs. For our snowflake example, the goal is to find a happy compromise between design aesthetics (look/feel) and efficient engineering (cost). The target production cost is $1.50 or less per decoration in order to both sell wholesale and retail. Oh no! The first quote was $22.25 total; that’s $7.42 per decoration! This price would be fine if the snowflakes were a gift for a friend or for personal use. But we want to sell these for a profit, and this price is nowhere near the target price of $1.50 each. Back to the drawing board. Since the “making” cost was the highest, the design had to be adjusted to bring the price down. (We’ll look at materials and shipping costs later). Making cost is tied to the time the laser spends cutting and/or engraving the design. As such, complex and intricate shapes take longer to make. How could the snowflake design be simplified so that the laser isn’t slowed down by the detail? Check out these design iterations and see how having fewer lines, a smaller size and shared lines reduce the cost. Using a larger sheet allows you to tap into some economies of scale. 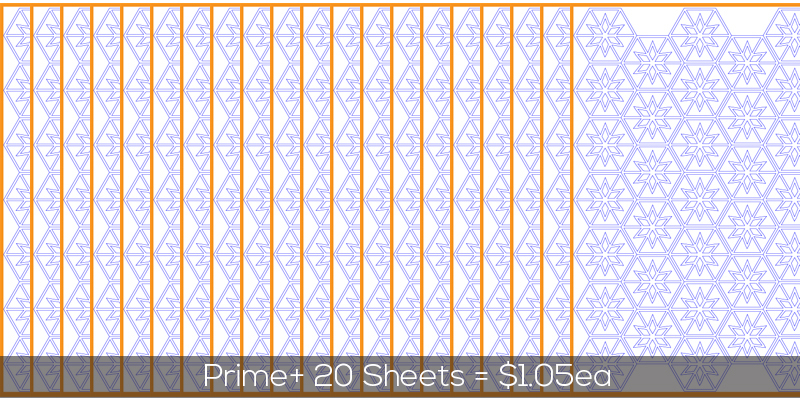 The base cost of a larger sheet is less for the area, plus it’s more efficient to cut a larger quantity of parts that share cutting lines all at once. To test how this would impact pricing, we downloaded a design file for this step and created a layout of the lowest cost design. 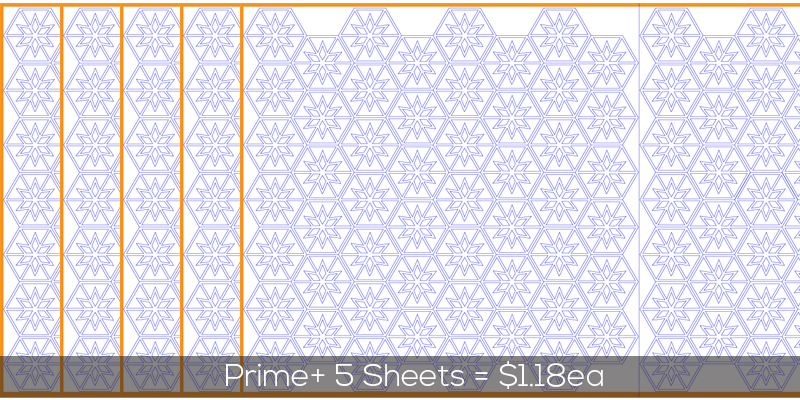 Instead of three snowflake decorations to one P1 sheet as shown above, now 112 decorations can fit on one P3 sheet. Remember when we noted above that bamboo can warp? To avoid this, we added a cutting line down the center of the sheet. Cutting it in half first makes the sheet flatter, and this means the cuts on the decorations will be thinner and less burnt. At $1.83, we’re getting closer to the goal of $1.50 per decoration. And because the total order was more than $100 and is being sent within the USA, free shipping applies. But there are still more ways to save money. Want to get better making rates? 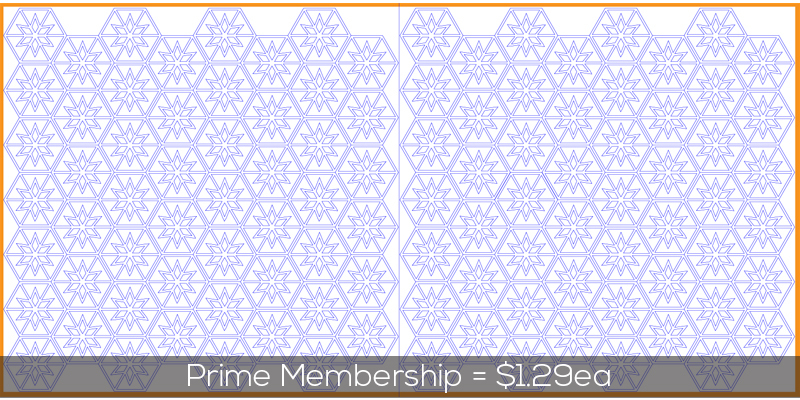 With Ponoko Prime, members immediately get 32.5% off making costs. And with more orders, member can increase the savings up to 55% off. Prime is just $39 a month, and you can cancel any time. For a full breakdown of the volume discounts you’ll get with Prime, check out this blog post. 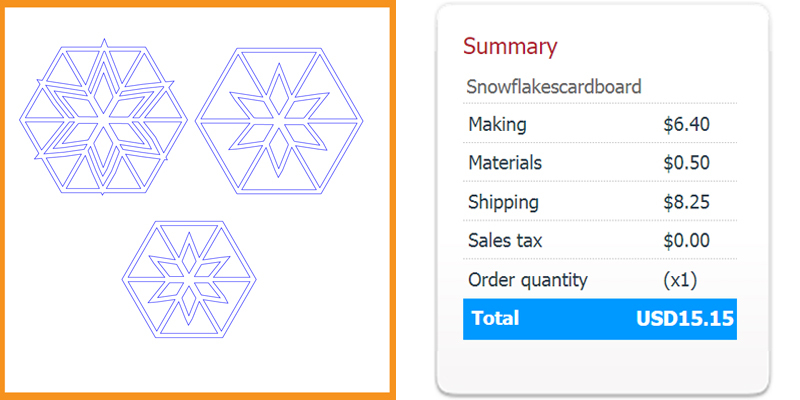 Up to this point, the digital prototyping for our example snowflakes has been in through a Free Personal Factory account. But what would happen if we used the Prime Personal Factory? When uploading the design files and choosing materials, look for “With Prime You’ll Pay Just…” and compare this price with the Free Personal Factory Price. With Prime pricing, the cost drops to $1.29 per decoration—well below our goal of $1.50 each. Sweet! But is this the absolute lowest price? Let’s find out. Could our costs be reduced beyond the $1.29 per snowflake above? If so, we would have options to reduce the retail price, bank the extra profit or know there is some wiggle room if a retailer negotiates hard on the wholesale price. That just knocked off another 11 cents. Nice! Whoa! Now the price has dropped to $1.05 each—that’s 45 cents lower than the original target of $1.50 each. With the quantity of 2240 decorations, that’s $1,008 more profit. Now we’re talking! Digital prototyping with your Personal Factory can deliver the production cost you need to earn profit at competitive retail and wholesale pricing. For our snowflake example, we were aiming at $1.50 or less per decoration. After spending $0 to prototype the design digitally, we were able to get the cost down from the original quote of $7.42 to $1.05 per decoration—and discovered plenty of other options along the way. Sweet! Now that you have proven your idea can be profitable, can you turn it into a quality product that can compete for sales? Here’s how to find out: Place your first order. 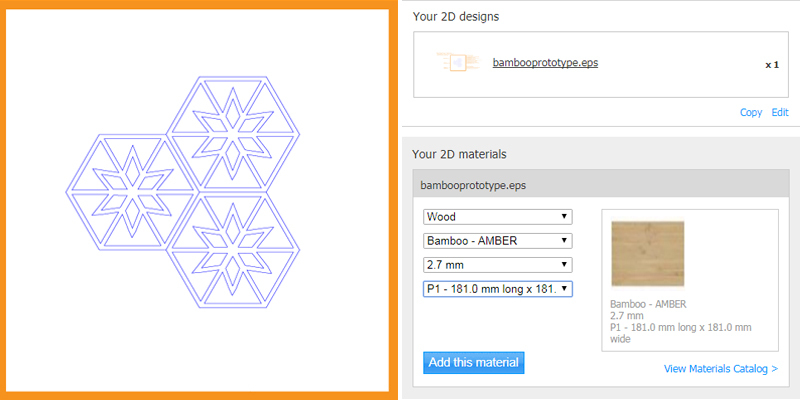 Using our snowflake decorations example, we have sorted out the pricing via free digital prototyping. Now it’s time to see and hold the decorations. But before submitting a full order, always start with a smaller sample first. This is extremely important. What if the proportions are all wrong? Or the sizing or materials aren’t how you envisioned in your mind? Doing a trial run lets you confirm all aspects of the product, and make any necessary corrections, before committing funds for a larger order. The first way to get a sense of what your product will be like is to print it out at 100% scale on paper. It’s easy—and it’s free. You’d be surprised how easy it is to misjudge scale on screen. Once you confirm size and scale with a paper proof, next it’s time to get an actual product in hand. Take a really good look at the initial design. Is it what you envisioned? Do any slotted parts fit together perfectly? If not, now is the time to adjust it so it better aligns with what you had intended. The result of this revised design will naturally be a new prototype, followed by another round of assessment. Continue revising the design until you’re confident in the quality of your product. 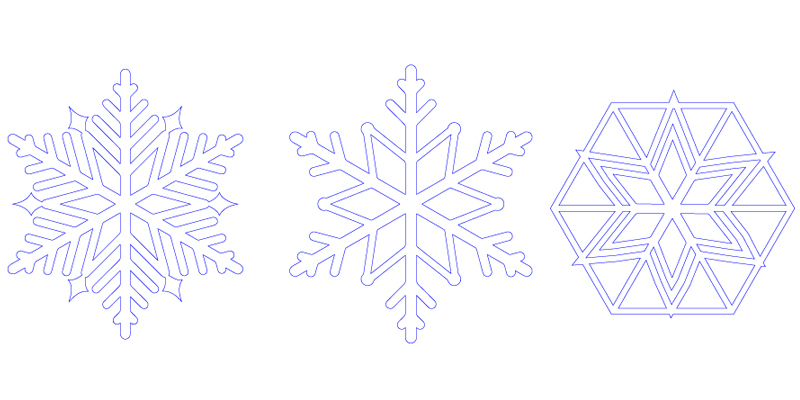 Going back to our snowflake example, we want to see all three designs since we’re not sure which will work best. While the lowest-cost option looks great on paper and is the right price, it could look terrible once we see it in person. No matter how great the price is, if our buyers won’t like the design, then it’s a waste to order it. So let’s make sure before investing any real money. To get started, we used the P1 design template to create a layout with all three designs. Next, we selected the lowest cost material: Cardboard. At $.50 per sheet, it’s the lowest cost prototyping material because it is soft, which means it is the fastest and least expensive to cut. Here’s the instant online quote for the first prototype. You’ll see it’s very low cost. Getting the first prototypes is exciting! And maybe even a bit nervous. Will the products look as great as you hope? This is also how your customer will feel—so this is the time to ensure you have everything right so they’ll be delighted when receiving their order. Here are the first prototypes of our snowflakes decorations. They look amazing! Based on the three different test prototypes above, we were able to confirm that the low-cost option not only works from a pricing standpoint but also from how the snowflakes look and feel in the hands. Happy with our choice, it’s time to move on to Part 2. Turn your most successful prototype from Part 1 into your final product using your fave material. Then get market feedback. Design and make packaging that not only protects your product but also appeals to buyers while showcasing your brand. Determine your final pricing model so you can make the most profit while selling at expected market prices. You remember from Part 1 that we brainstormed ideas on what kind of product we could make and sell. After doing some Google research, we wanted to explore the idea of simple Christmas decorations such as snowflakes because we know there is a lot of demand for them plus it’s not too competitive to get a high ranking and lots of traffic. 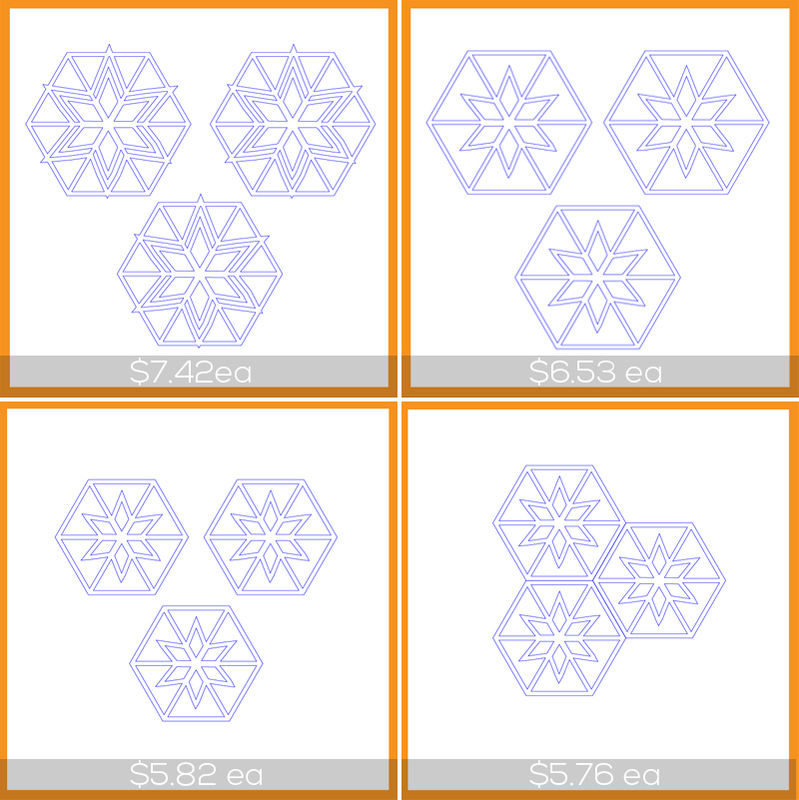 After sketching out some initial designs and then digitizing them using our fave digital design program, we determined that a geometric interpretation of a snowflake would not only be better for laser cutting but it would also be different to many other designs already on the market. After quoting a number of different options, simplifying our design and then prototyping it in cardboard, we were able to finalize the design. And with the $2 material samples, we were able to confirm bamboo as our material of choice. 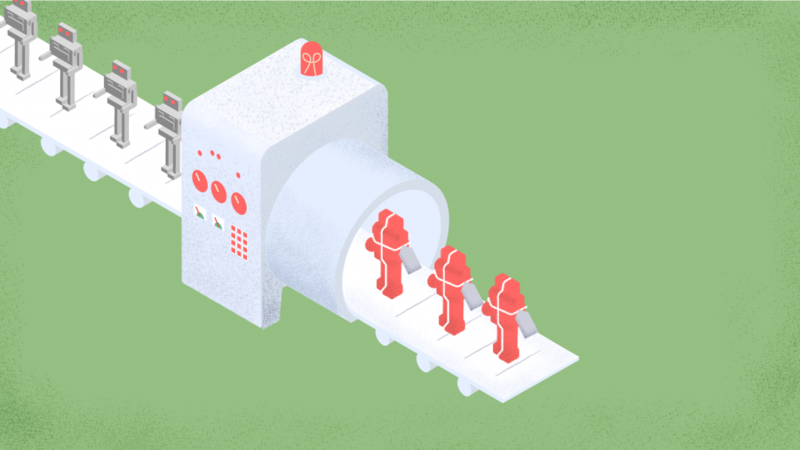 Before committing to a large order, it’s important to get some sample product in hand so users can test it out and provide feedback—and you can make any necessary changes. In this step, you can evaluate if the material you chose will worked as expected and be strong enough for its intended use. Getting the first real samples is exciting! And maybe even a bit nervous. After prototyping in cardboard, we had a good idea of what the final product would look like. But you never know until it’s in hand. Will the products look as great as you hope? This is also how your customer will feel—so this is the time to ensure you have everything right for sales so they’ll be delighted when receiving their order. Here are the first bamboo samples of our snowflakes decorations. They look amazing! Now it’s time to let potential customers try out your designs for one final confirmation that you’re on the right track. We needed some feedback not only of the design of the snowflake ornaments but also on the type of string that could be used for hanging. So we provided several hanging options and asked which they liked best. We got in touch with friends, family members and our local gift store owner and his customers. They loved the design, and we were able to take pre-orders with the simple twine hanger (our favorite string style). This worked out perfectly because the twine not only fits with the natural aesthetic but it also only costs two cents per decoration. Getting these pre-orders are gold! Not only do these orders confirm that our design is great and we have buyers that are ready now, but they also give us confidence moving forward. Because we have a good indication that we’re on the right track, we reduce the chance of wasting any time or money on a product that doesn’t appeal to buyers. So now that the product design is 100% finalized, it’s time to think about how to package it. Packaging is almost as important as the product itself. It must not only protect the product but also appeal to buyers while showcasing your brand. 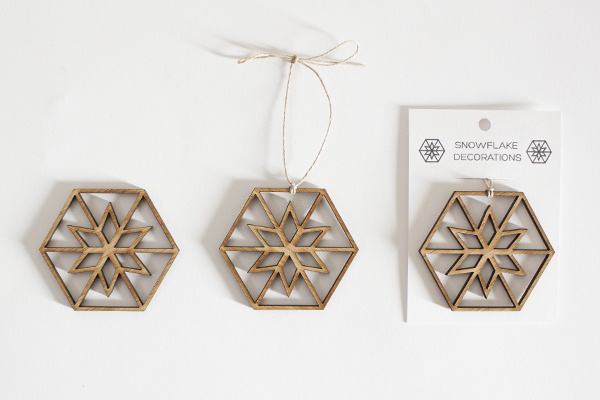 And with our snowflake example, the packaging also must have the capacity to easily be displayed via hanging. Because our target audience is comprised of environmentally conscious buyers, using any kind of plastic was out. And we also want to keep the price low so that the packaging doesn’t eat away at the overall profits. 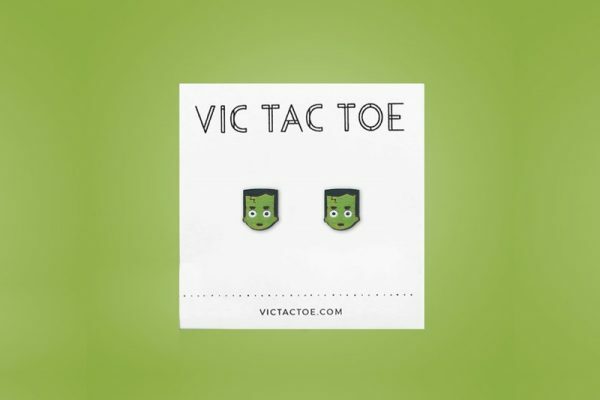 Continuing with the minimal theme that we’ve used throughout the process, we designed a basic card backing from recycled materials that costs $0.22 each. Low cost and looks great! With the product line ready to go, it’s now time to calculate the costs and set the final price. Before we can kick off our sales process, we must finalize the retail and wholesale pricing strategy. 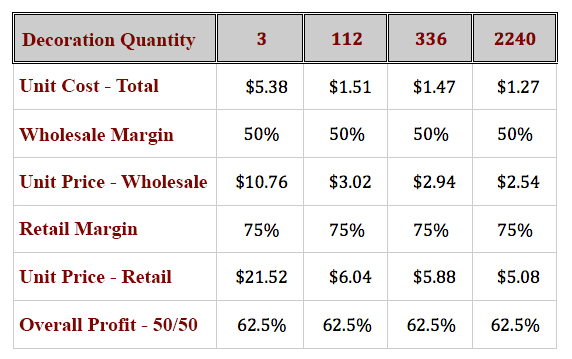 To start, we used a simple “cost-plus margin” pricing model to ensure profitability. In this step, we collect all our costs to determine how much we’ll need to invest at the various order quantities. Now that we know all of the costs, what’s it going to take to be profitable? A standard pricing ratio acceptable to retailers is 1:2:4. $1 of cost means a $2 wholesale price, means a $4 retail price. 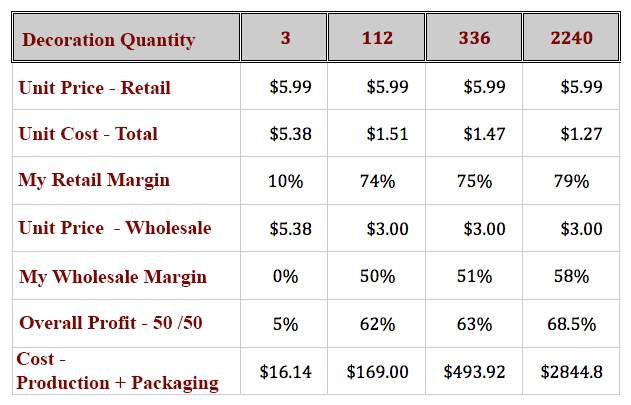 To make a profit, this model shows the retail price must be between $5.08 and $21.52 per decoration to retain a profit margin of 62.5% (assuming a 50/50 split in sales across both retail and wholesale channels). Using the information above coupled with knowing the competitive market price for Christmas decorations is around $6 each, a retail price target of $5.99 is a good place to start. To hit a 62% overall profit margin, we’ll need to order and package at least 112 decorations at $169 per order. This is a good place to start the business. 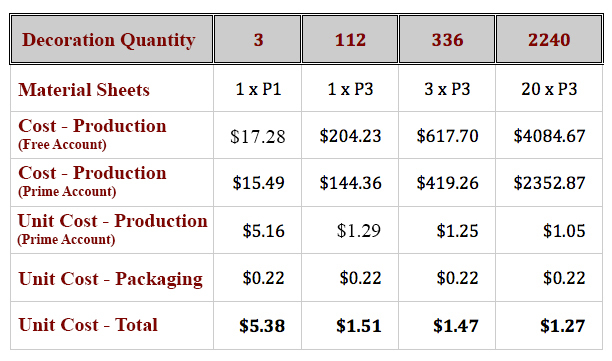 To hit a 68.5% overall profit margin, we need to order and package at least 2,240 decorations at $2,844.80 per order. This is a good next step once there’s a reliable stream of retail and/or wholesale orders. To go above a 0% wholesale profit margin, we must sell to retailers in a minimum batch of 112 decorations at $169 per order to hit the desirable 50% profit margin. If a retailer will only pay a wholesale price of less than $3 per decoration, they must order at least 2,240 ornaments for us to retain a decent profit margin. It is possible to order and package just three decorations at $16.14 and sell them retail at a 10% profit margin, which is really nice to know if we don’t want to spend $169 at the next level up. However, it is not possible to sell this small order size at the $3 wholesale price because it is a net loss. Of course, for those just getting started you can relax some of the 1:2:4 pricing “rules” to align with your specific situation and desired profit margins. But they’re a great place to benchmark what is actually going on with your cash flow until you get more sales and experience. Continuing on the path of keeping costs low, what would happen if we decided to keep stock digital until we had customer orders? This way there would be zero cost until a sale is made and cash is collected. 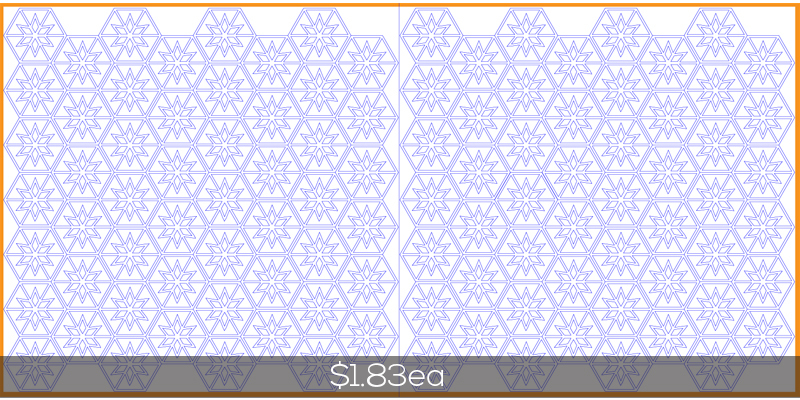 The third table above shows that we can order just one set of three snowflakes at $16.14 to fulfill three $5.99 retail orders at a 10% retail margin. But we would make nothing on a wholesale order, which indicates that we need to set a minimum wholesale order size of at least 112 pieces. And to maintain healthy profits in general, we might like to produce at least 224 pieces so there is additional stock on hand for fast delivery. Without profit, we can’t continue our passion of making things for others. But with profit, we can create all kinds of new possibilities. And so can you! Now that we have finalized the product, the packaging and the final pricing, it’s time to move on to promotion. While each of the previous two parts have focused mainly on the actual item being made, it’s important to realize that having a great product is only one aspect of the process. A solid promotional plan is crucial to how successful you become at actually selling your wares. Complete the picture of your ideal buyer by determining where they shop, the marketing messages that convert and what the competition is offering. Choose the sales outlet that provides the greatest access to your target market. Craft product descriptions and other sales messages that resonate with your ideal buyers. In Part 1, we talked about the importance of identifying your ideal buyer—a specific market that you can target with laser focus. Before making any product, it’s essential to determine what this buyer needs and how can you make something to fulfill this need. Additional considerations included demographics (such as age, gender, where they live, religious and cultural preferences) as well as psychographics such as interests and lifestyle. 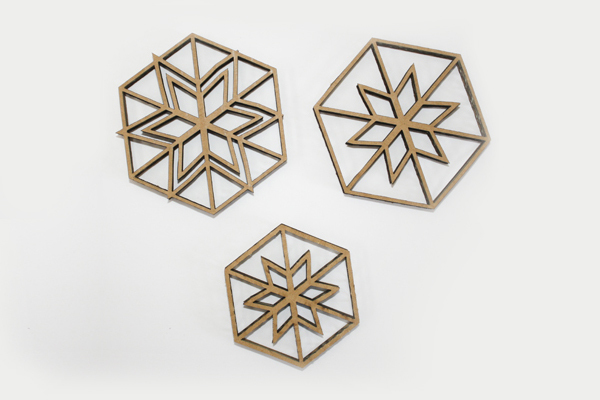 For our working example, we decided that the ideal buyers of our laser cut wooden snowflake ornaments are nature lovers who are attracted to environmentally friendly holiday celebrations. At the time, this is as far as we went. But now it’s time to delve deeper into how to reach them. What messages resonate with them? What other products are offered that compete with yours? For more insight on developing your target market, check out this worksheet from the Etsy blog. Once you fully understand your target market, then it’s time to choose selling location(s) that have the best chance of holiday sales success. Deciding where to sell your products is one of the hardest decisions you’ll have to make. Without customers, you can’t sell your products. So where can you find customers that align with your definition of an ideal buyer? For artisan goods (such as laser cut products), there are three main ways to sell products: Online, Local Boutiques and Craft Fairs/Markets. While you can do all of them, it’s typically easier and less overwhelming to start with one and do it well before expanding. Let’s take a closer look. One of the main benefits of having an selling products online is the potential for reaching the greatest number of potential customers. You’re just one google search away from landing a sale! If your product idea requires more startup capital than what’s in your bank account, then launching a Kickstarter could be your avenue to not only judge consumer interest but also raise the funds you need to make a set number of per-ordered products. But Etsy and Kickstarter aren’t the only options. Check out these 16 great places to sell products online via Creative Blog. Whatever path you take to sell online, you’ll need high-quality images of your products and well-written descriptions that attract buyers. You’ll also need to consider how orders will ship—not only in terms of pricing but also how products will physically be delivered to customers. If you are selling around the holidays, keep in mind that shipping providers are busier and delivery may take longer the closer it gets to Christmas. Thus, if you’re selling in the last quarter of the year, it’s essential have items available early if selling online. 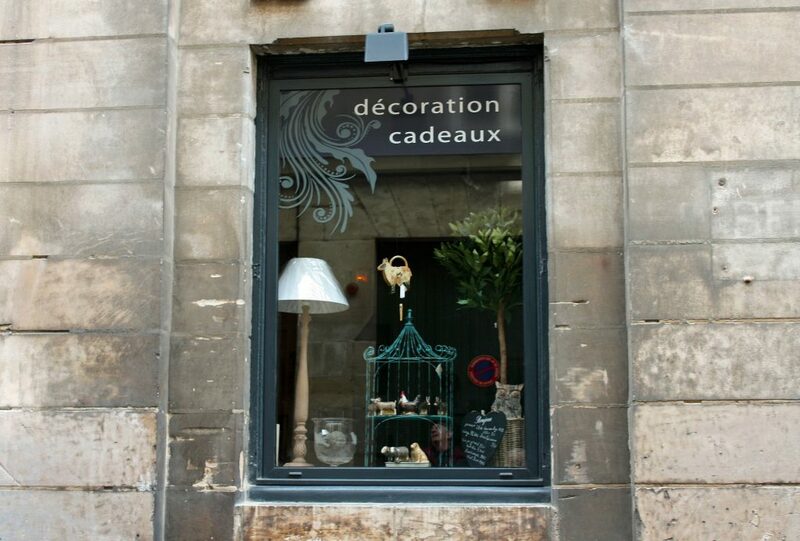 Having your products on display in local boutiques requires selling of a different kind: Directly to the store owner. So you must research potential stores just like you would when determining individual ideal buyers. Does this store attract your target market? Does it have product inventory similar to what you offer? How do your products complement existing inventory while being different from everything else? 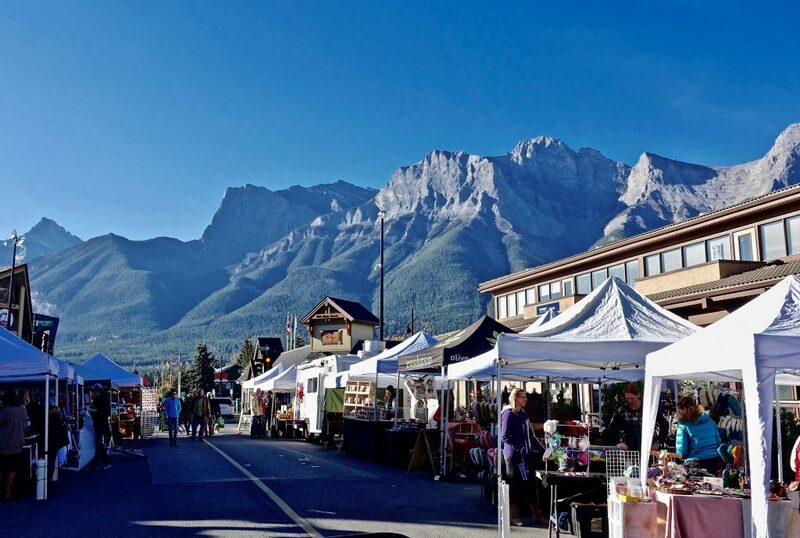 Craft fairs and markets are a great place to sell artisan goods because people specifically attend them to find unique, handmade products that aren’t available elsewhere. In order to sell at these kinds of local markets, there is typically a booth fee that allows you to exhibit your goods. In addition to the time spent manning the booth, you’ll also need to allocate time for setup, teardown and travel. So which is better: selling at markets vs online? It depends on how you defined your target audience, where they shop and how you want to spend your time. If you do decide to sell at craft fairs and markets, check out these tips for more insight and helpful tips. One of the first things you’ll want to do when marketing your product is write a description of it. This will be the foundation for much of your consumer communication. Of course you’ll want to give the details about the product size, materials from which it’s made, weight (if applicable) and other features. But there’s much more to the story. 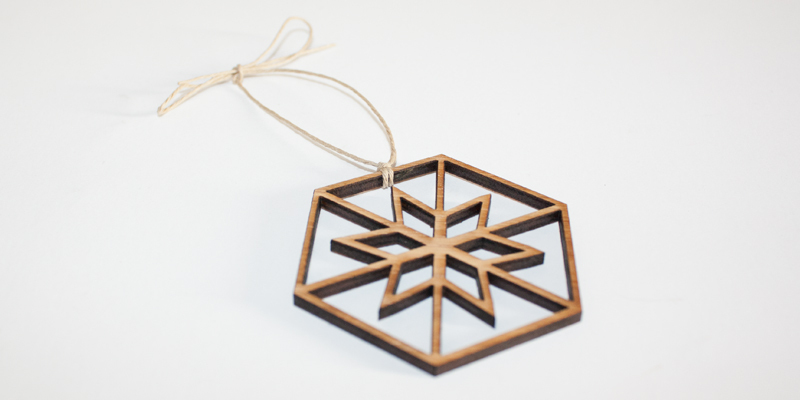 For our snowflake example, technically we’re selling a laser cut Christmas tree ornament made out of bamboo. But what we’re really selling is environmentally friendly Christmas joy. 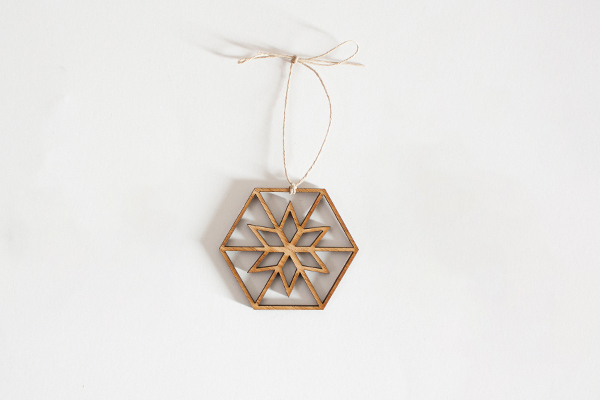 This ornament has no plastic components, is made from a renewable bamboo and is manufactured locally. These are all strong selling points for our ideal buyer because the customer can feel good about purchasing the product since it aligns with their values. Your research into your specific target market will help you build a product description that speaks directly to your audience. For tips on writing product descriptions that sell, check out this post. You may think that having a written description is only applicable if you’re selling online. Not the case. If you’re selling in person (either wholesale to shop owners or to consumers at craft fairs), you must be able to confidently and consistently talk about your product. By writing a product description, you can deliver the message just as easily verbally as in print. The range of promotional options is HUGE! 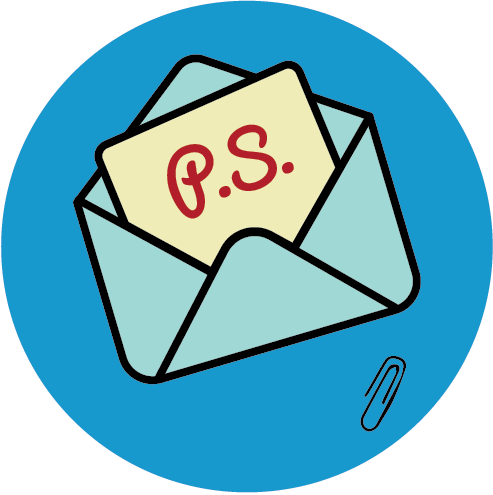 You can do anything from emails, postcards and digital ads to social media. Encourage engagement with discounts, gifts with purchase, competitions and prizes, samples, etc. But don’t get overwhelmed by all the paths you can take. You can’t do everything! (Unless you’re a superhero, and in that case, can we borrow your cape?) Instead, focus on one or two techniques and really nail them. One way to create a sense of urgency—and give customers a reason to buy NOW!—is by strategically using special dates in your marketing messages. Around Christmas, for example, it’s common to see special discounts for Cyber Monday. But you can build in specials or sales anytime during the year. For even more insight into how to market your handmade business, check out these five smart strategies. Whatever types of promotion you use, make sure to track your strategies so you can determine what’s working—and what’s not. You’ll need this info for the final part. By understanding where and how sales are being made, you can stop doing what doesn’t work and double down on what does. Products take time to make (and ship). Be prepared by assessing your stock needs and fulfillment offers so you don’t miss a sale. After identifying what marketing techniques are working, you can formulate a plan to reach your customers in one or two channels so that your message resonates with them while separating your from the competition. Where did you sell the most items? If you sell more in one place than another, then it makes sense to focus on what is most successful and let the other areas go. How much did you sell? This can help you forecast potential future sales and if you can order product on-demand or if keeping product in stock is the best route for you. What did customers ask for? Understanding customers’ needs and wants can help you make any adjustments so that your product is more appealing—and more likely to sell. 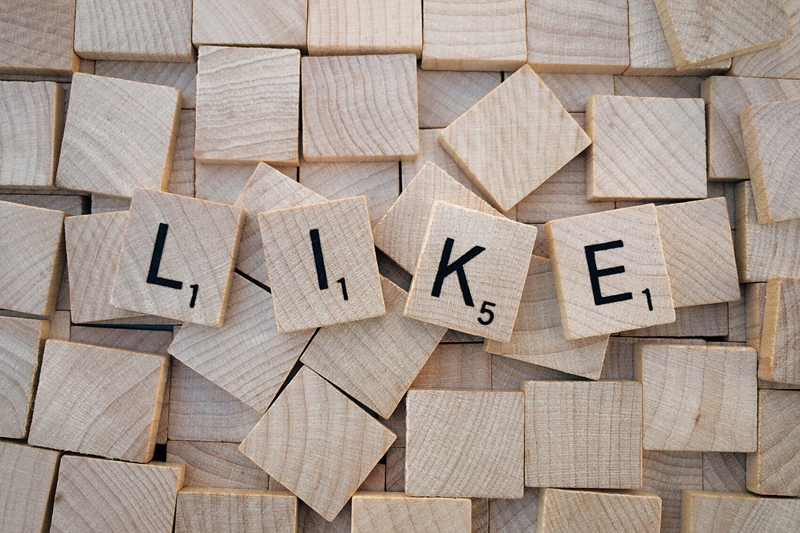 What did customers like…and not like? Getting feedback on your efforts to date is really valuable. Positive comments let you know you’re on the right track. Any negative feedback, while often hard to hear, can actually help make your product better. So rather than be defensive when hearing any constructive criticism, thank customers for their input and let them know you’ll use their comments to make improvements. What took lots of time that wasn’t necessary? There is a finite amount of time to spend making your endeavor successful. Are there any tasks you’re currently doing that don’t directly improve the bottom line? Can you eliminate anything that won’t compromise the quality of the product, the time you spend interacting with customers and/or your overall brand image? If so, redirect that energy to something that has more impact. By answering these questions, you can assess where you are so you can stop doing what doesn’t work and double down on what does. There is only a short time remaining to capture your buyers. Continuing the process of trial and error on tasks that are still not working may be costly. Instead, it may be more beneficial to put all of your limited time behind the one or two key things that are really working for you. You don’t want to miss out on sales by running out of product. So do you stock up or continue ordering on demand? If it seems you will have a strong and/or consistent order volume, consider stocking up to make sure you have inventory to fulfill projected demand. But if you have a brand new product and soft demand, a safer strategy is to order from Ponoko on demand so you don’t risk paying for stock that does not sell. However, this option isn’t without risk. Products take time to make, so depending on when you order, there may be rush charges to get product in-hand before any of your specific deadlines. Additionally, shipping times must be considered. When promising to fulfill orders when you don’t have inventory on hand, you must keep delivery times—and any fees for faster shipping—in mind. So while ordering on demand offers some protection from risk, you may experience higher making and shipping costs the closer you get to any holidays or specific deadlines. Depending on your pricing model, you’ll need to account for these fees in your sale price (or lost profit). You’ll have to weigh this risk with stocking up and potentially having leftover inventory. On the plus side: Ordering early saves last minute stress later, allowing you to focus on promoting your product like crazy. Hopefully you’ve been tracking your marketing activities from Part 3 and have a feel for what’s working (and what’s not). This information gives you direction to focus on the marketing techniques that are working best. If you are selling around any holiday (Valentine’s Day, Mother’s Day, Father’s Day, Independence Day, Thanksgiving and especially Christmas), your customers are being bombarded with lots of marketing messages. So when making your marketing plan, remember that it’s not about all the different ways you could reach customers. It’s about reaching them in a way that is most meaningful to them while standing out from your competitors. Sure you could try 10 different channels, but you’d be spread so thin that no one would hear you. #fail. Rather, spend that same effort on ONE channel and you’ll have 10x more impact. #sale! 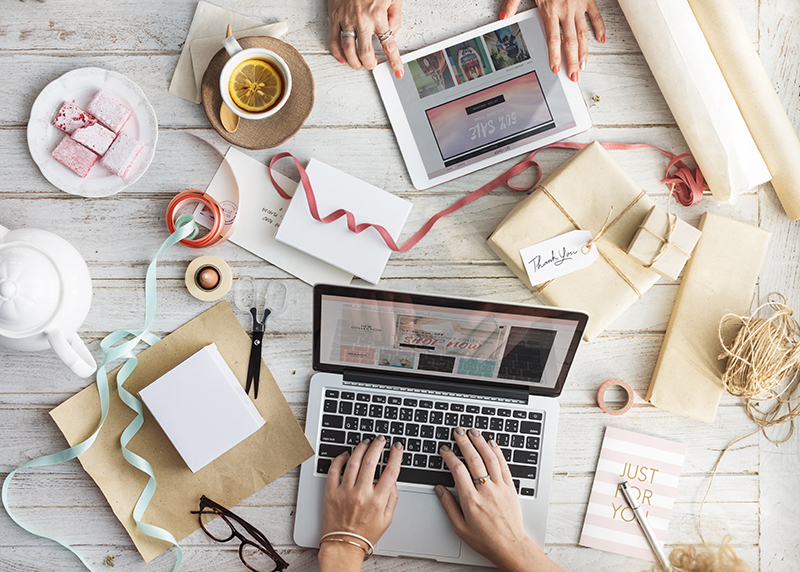 Whether you’re doing emails, postcards, digital ads or social media, or you’re encouraging engagement with discounts, gifts with purchase, competitions or prizes, there is one rule: Make. It. Fun. Ask yourself: If I were receiving this ____ (fill in the marketing idea you’re using here), would I like it? Would it capture my attention? Would I be happy to see it? Would it entice me to act (read: make a purchase)? If the answer is “no” to any of the above questions, time to go back to the drawing board and make improvements. You can have a great idea, but if the execution is poor, it won’t resonate with customers. Whatever marketing tactic you use, it should be clear. Attractive. Targeted to your specific audience. Easily shareable on Twitter, Facebook, Pinterest, Snapchat, Instagram, etc. Word of mouth is priceless! Find ways to automate repetitive tasks. 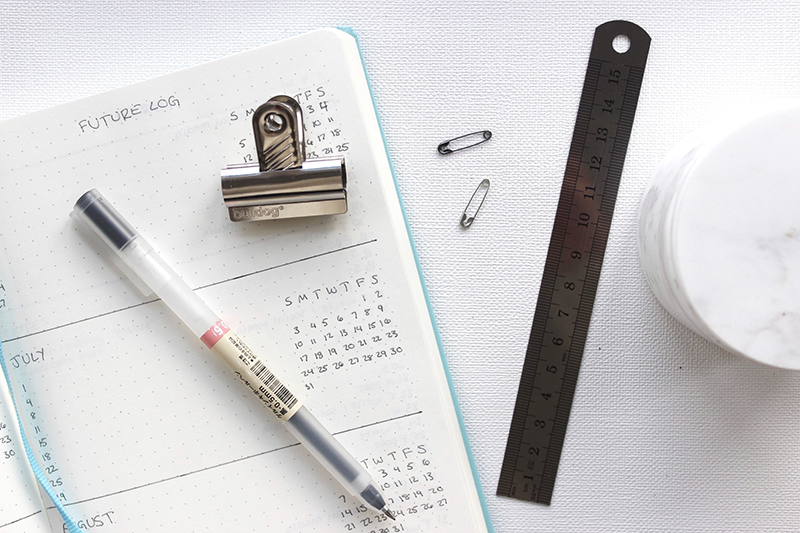 For social media, use a scheduling tool such as Hootsuite or Edgar. For an email series, check out Sendbloom or Infusionsoft. Manage contests with a service such as Rafflecopter. And don’t go it alone. If you are unsure how to do something, find an expert and learn. For training on just about any marketing subject, LinkedIn’s Lynda has a class for you. Need to boost your SEO game? Want to market with Snapchat? Understand Google Analytics? Check! The site has these and a gazillion more to make you smarty smart. If you’re stuck keeping your marketing efforts fresh, check out this post with 64 creative marketing ideas that will boost your business. It not only has marketing ideas for social media and contests, but it also has tips for content marketing and urban marketing as well. And if you’re like us and want to create a product to sell around Christmas, these 27 ideas combined with these 50 tips will have you decking the halls—and shipping out orders—in no time. WOW. We’ve covered A LOT of information. Hopefully you’re filled with excitement and can’t wait to get started. But make sure you bookmark this guide so you can read (and re-read it) again as you make your way through each goal. 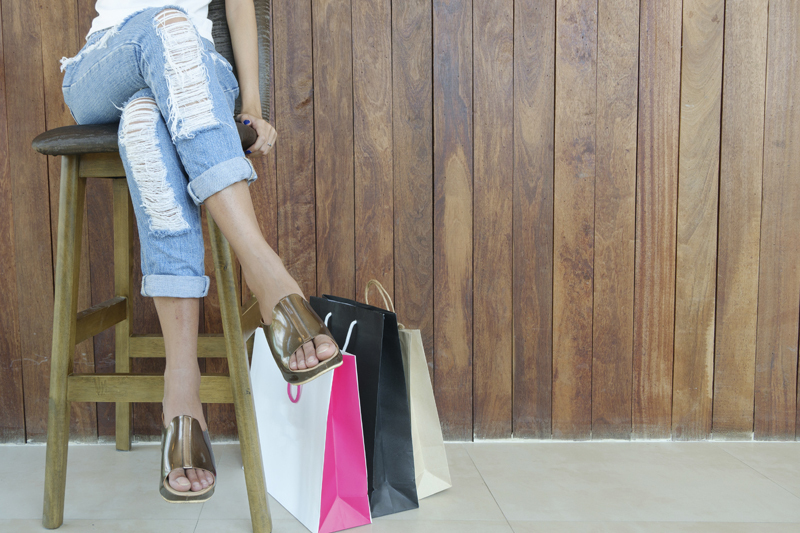 If sales aren’t meeting expectations, do an honest evaluation of each step in the process. Identify any areas that didn’t work and determine why. Then make adjustments and try again. And again. Henry Ford said, “Failure is the opportunity to begin again more intelligently.” The only real failure is if you stop trying. So what are you waiting for? Get started with Goal 1 today and you’ll be only your way to selling your first product in no time.